Meet our team of talented stylists! Jazmine attended cosmetology school right out of high school. Upon receiving her licence, she spent two years working for a corporate salon where she really let her talents as a hairstylist blossom. Driven by a desire to work for herself, closer to Pasadena where she lived and grew up, Jaz leased a station at Hotheads. Eight years later, she had the opportunity of a lifetime: to own a hair salon. It's been three years since Jazmine took over Hotheads, and in that time she has built a solid client portfolio and an incredibly successful salon. She attributes her success to the talented stylists that surround her, the salon's laid-back, welcoming atmosphere, and loyal clients that fill the chairs of the two-story salon. Thirteen years in the business has made Jaz one of the area's best haircut and color specialists. She also does feather hair extensions. Call her for an appointment today! Maral has been in the business for 5 years and specializes in haircuts and coloring, eyebrow threading, and makeup and up-dos for special events. Call or text for an appointment. 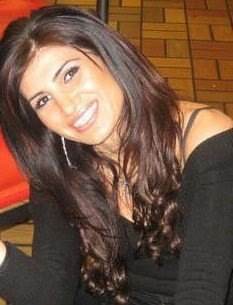 Taleen specializes in haircut and color, as well as doing HairDreams hair extensions. She also does Brazilian Blowouts by appointment (early mornings or evenings only). Call or text for an appointment. Lucy's outgoing personality has kept her clients returning for years. She specializes in Redken colors, various haircut styles for women and men (including fades), permanent waves, and smoothing treatments. She's at Hotheads on Thursday, Friday, and Saturday. For an exciting salon experience, call or text Lucy for an appointment. Stephanie specializes in hair cuts and color. She's certified in Schwarzkopf coloring, and can do up-dos, styles and makeup for special occasions. Call or text for an appointment. Carla comes to HotHeads Salon with over four years of hairdressing experience. She has trained with top stylists in Pasadena and attended the Redken Academy in New York. Both experiences developed her cutting skills and love of rich, gorgeous color. Carla is influenced by beauty and passionate about people. There is no better feeling than making a person feel amazing about themselves, and that is what she aims to do every time someone sits in her chair. As art being part of her passion in life, Ani has a hard time choosing of one field and enjoys every aspect of the beauty business. She has built a strong connection working in the hair industry for the past 14 years, treating hair as a form of masterpiece. She has gained so much knowledge about color theory, hair extensions, permanent makeup, and razor cutting. In order to meet the clients' special needs, she finds it very important to understand the psychology of the clientele, their lifestyle, their age group, and their background. She truly loves working with hair and feels incredibly blessed that she has found a career that resonates with her so perfectly. As a stylist, she does believe in honesty, patience, creativity, and hard work functioning all together to provide a beautiful end results for her clients. Want to work for Hotheads? We're looking for talented stylists who want to be their own boss to come work with us at Hotheads! You'll be in charge of bringing in your own clientele and setting your own hours - we'll provide you with a workstation and a place to call your own. Interested? Email Jazmine atjazmine@hotheadspasadena.com!